Tickets for the spectacular Longines Global Champions Tour of Paris - Longines Paris Eiffel Jumping are now on sale! Click here to book your place now! 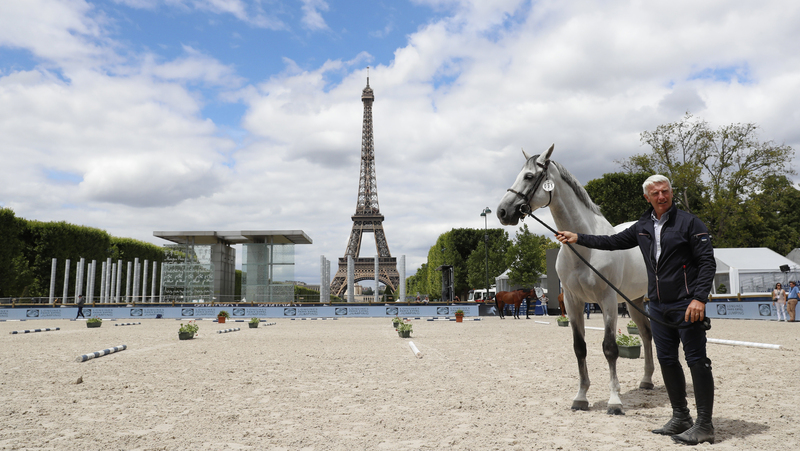 From 5th-7th July 2018, Paris, the 'City of Lights', will host LGCT Paris - Longines Paris Eiffel Jumping, marking the move into the second half of the season and battle for the Championship race. The tenth event on the Tour will be a unique sporting, social and cultural spectacular, set once again against the backdrop of one of the world's most iconic landmarks, the Eiffel Tower. One of the most visited cities in the world, Paris is brimming with famous attractions and landmarks. Whatever takes your fancy - Notre Dame, the Eiffel Tower, the River Seine, the Arc de Triomphe, the Louvre or the Moulin Rouge - there is so much to see and do. Paris also boasts a high concentration of national and international political, scientific and cultural institutions and has the largest business district in Europe. A legendary centre of fashion and haute couture tailoring, Paris Fashion Week is still the most celebrated event in the fashion world. Spectators can enjoy world-class show jumping in the heart of the ‘International City of Style’, against one of the most recognisable landmarks in the world. French “art de vivre” will as well be celebrated through gastronomy in the reception areas with restaurants run by two famous 3-star chefs, Alain Ducasse and Frédéric Vardon. Tens of thousands of visitors are expected to what's become a meeting place for horse lovers around the world in this celebration of all things Equus. Tickets are now available! For more information and to book your place, please click here. It will be unmissable.